Now it seems that the ocean once again got the better of the Falcon Heavy center core. SpaceX does have ways to secure the rockets it lands in the ocean, including a robot known as the “octagrabber” that latches on to the base of the boosters. But because the center core connects to two side boosters, it has a different design than a normal Falcon 9 booster. So the octagrabber cannot hold on to it in the same way. SpaceX has another Falcon Heavy mission coming up sometime this summer in Florida, one that will use an entirely new center core and the two outer cores that landed last week. SpaceX does plan to use the octagrabber for that mission. 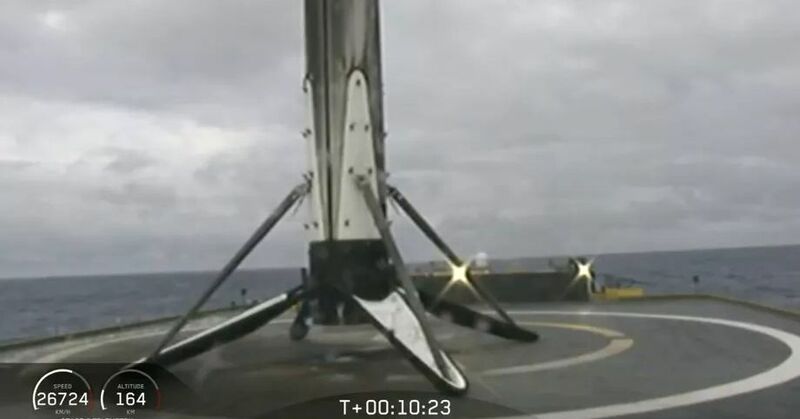 Perhaps the company has some time to update the robot to hold onto the center core, or perhaps calmer seas will be more conducive to transporting rockets.